Dealing with unwanted fat? Do you want to get rid of unwanted flab and unsightly love handles? CoolSculpting at Elite Freeze® is a revolutionary fat-trimming technique that’s taking Redwood City by storm. Residents all over town love CoolSculpting because of its speed, simplicity, and astounding results. Never has weight loss been this easy, and with a location in Redwood City Elite Freeze® is looking to make weight loss easy for you too. 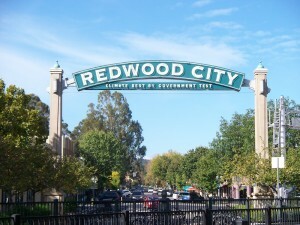 Redwood City, located just 27 miles south of San Francisco, is as busy as any other big city. With companies like Oracle and Electronic Arts calling Redwood City home, people are constantly looking for the fastest and most efficient way to achieve their goals. Luckily, the professionals at Elite Freeze® have brought CoolSculpting to Redwood City, making weight loss faster and easier than it’s ever been! As no stranger to technology, Redwood City is always experiencing new ways to get things done. CoolScultping is the fastest and one of the safest way to get rid of unsightly fat. Since it’s a non-invasive procedure, CoolSculpting leaves no scarring and requires virtually no recovery time. This makes CoolSculpting one of the safest and easiest ways to get you in the shape you need. Performed by medical professionals, CoolSculpting works by freezing fat cells while leaving every other part of the body untouched. The body naturally removes the frozen cells and slims down as a result. No scarring, marks, or weeks of recovery required! Since the procedure is non-invasive, recovery time is merely a fraction of what it would be when compared to other slimming techniques. This means less time worrying about excess weight and more time showing off the new you! With a convenient location in Redwood City, consulting with a professional has never been easier. Elite Freeze® is standing by and ready to figure out how they can make CoolSculpting help you get the body you need.